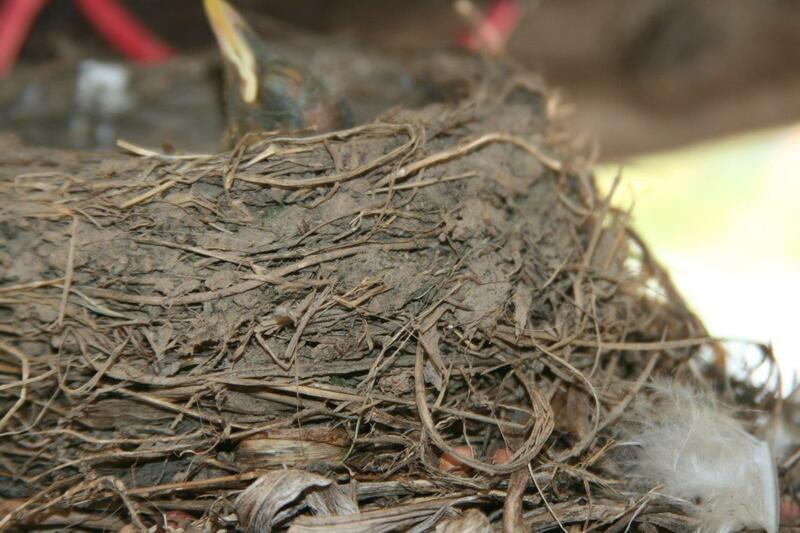 View upclose images of the robin nestlings and adult taken by Georges Capuano. If a human built a structure with the same weight difference of a robin with its nest, our mound of mud and twigs would weigh 450 pounds! Listen to BirdNote shows about American Robins.